One of the delights of travelling through the New World is finding little bits of home beyond home. For example, when I was a graduate student at UCLA in the early 1970s there was "Ye Mucky Duck" and "The Brigadoon" whenever I felt homesick. Near Boone, North Carolina there was a village called Tynecastle where they actually held highland games. In Victoria, British Columbia they play cricket and replicate Anne Hathaway's cottage - complete with her husband's second best bed. In Trelew, Argentina there's a "Canolfan Dewi Sant" right in the town centre. "The mission of The Rocky Mountain Inventors Association (RMIA) is to promote successful product commercialization and protection by offering information, education, and guidance including business contacts and networking opportunities." Like us it has inventor and service provider members. I learned about the Association from one of those service providers, Kevin Houchin, since we follow each other on "twitter.". 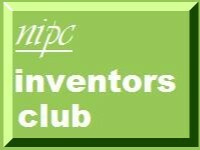 The activities of the Colorado inventors are remarkably like those of the Northern Clubs. They have regular talks by folk like Kevin. Yesterday, for example, he was talking about trade marks and domain names which gives me an idea for what to do in Sheffield on Monday. Maybe we can make use of the Internet to link together with Kevin telling us about protecting and promoting innovation in America and maybe some of us telling our American colleagues about what happens here.